We are so happy that you are planning to celebrate the Sacrament of Matrimony. The special graces of this sacrament are to help both of you respond to your baptismal call to holiness as you start your own family together. We pray that you are using the time of your engagement not only to plan your wedding, but to plan your marriage. Our parish and our diocese help provide you with programs to help you do just that. Aside from participating in these programs, we urge you to attend Sunday Mass together and to develop the habit of praying together. It is only in being total gifts of ourselves that we can be truly happy. It could take from 4 to 6 months to be prepared for your wedding so you should act accordingly. Are you a registered member of our parish? You can get a registration form from the Church Office or one of the ushers before or after the weekend Masses. They will put you in touch with Dan McGowan, Director of Faith Formation dmcgowan@churchoftheres.net or 863-644-0585 Dan will explain the procedure to complete the FOCCUS inventory and the PreCana event and/or a Convalidation Workshop. (During this time you should have participated in a PreCana or Engage Encounter Weekend or a Convalidation Workshop or at least be registered for one of these. Secure your wedding certificate from the County at least 2 weeks prior to your wedding ( bring you Pre-Cana/Engaged Encounter/or Convalidation Workshop certifiate for a reduced fee and a waved waiting period. Should I get Married in Church? What is required to get married in the Catholic faith? Roman Catholics are required to be married 1) in church 2) by a Priest or Deacon. What is required to get married at Resurrection? 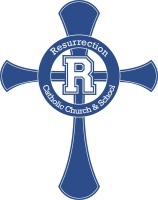 It is the policy of the Church of the Resurrection and the surrounding Catholic churches that anyone seeking the sacraments of Baptism, First Eucharist, First Reconciliation, Confirmation and Matrimony must be a parish member of our church community at least 3 months prior to being able to receive the sacrament. How long is preparation for marriage? To insure understanding of all that their gift involves, the Diocese of Orlando requires at least 4 months preparation time. Youths under 19 years require special counseling as part of their preparation. Arrangements must be made 6 months in advance. What is the marriage preparation process? 1.Preliminary Interview: The first step is meeting with the parish priest call 863-646-3556 to set up an appointment to begin the planning and preparation for married life. This should take place at least 4 MONTHS prior to the wedding, and BEFORE any arrangements are made with regard to invitations, reception hall, etc. This will avoid unnecessary duplication of effort or misunderstanding later. During this interview, you will be provided with an explanation of Pastoral Guidelines for Marriage Preparation. 2.Setting the Date: The final date for the wedding will not be set until the entire assessment process has been completed and the decision to proceed has been made by the priest and the couple. 4.Instruction: After the readiness for marriage has been determined, the couple will finalize the wedding date and begin their instruction process. We will outline the sacramental preparation required (PreCana Weekend Retreat, Pre Cana, Remarriage, Convalidation, interviews with the priest, etc.). 5.Wedding Liturgy: The couple will plan their wedding liturgy with the priest. They will participate in the decisions regarding the ceremony, scripture, music, In conjunction with Karen Zarandona, the parish Director of Music, vows, etc. 6.Delaying the Marriage: A delay is designed to provide time to overcome the circumstances which made the delay advisable. Some of the reasons for delaying the marriage are: ◦ The non-practice of the faith by the Catholic party, especially when there is no intention of returning to the practice of the faith. A substantial lack of appreciation for the spiritual and sacramental aspects of marriage. A lack of readiness by reason of immaturity, age or undue social pressure. The likelihood of a separation of the couple for an extended period after the marriage (e.g., military service, continued education, etc.). The unwillingness of the couple to participate in any of the steps of marriage preparation that apply to them as well as missing forms including but not limited to Baptism information and marriage license. Appeal: There is an appeal process for couples who disagree with a decision to delay their marriage. If the couple wishes to appeal, they should submit their petition in writing to the Bishop of Orlando. These Pastoral Guidelines for Marriage Preparation apply to all Catholics domiciled in the Diocese of Orlando even if their wedding will be celebrated in another diocese. For more information check out the Diocese of Orlando: Office of Evangelization for more information at http://www.orlandodiocese.org/ministries-offices/marriage-preparation. Music selected for a wedding should have a religious tone. Check with Karen Zarandona 646-3556 x 104 before you decide on music. The bride may use the Bride’s Room, located at the left of the Narthex. Only water is permitted in this room or anywhere in the sanctuary building. Our church already has a carpet aisle. Adding an additional runner can create a hazard and is therefore, not permitted. During the ceremony, the Church will provide the candles that are used for the liturgy. No objects are to be throw before or following the ceremony inside or outside the church property. What are the costs for the Church? The fee for the Church is a donation for the upkeep of the facilities. It is also nice to show the altar servers your appreciation, $10.00 – $25.00 each is the usual gift. Their is no set gift for the Priest. It is left to the judgment of the couple to make that decision. Pre-Cana retreats are a marriage preparation program designed for engaged or newly-married couples to help them have strong, successful marriages. By spending a day focusing on their relationship, couples learn how to communicate better, resolve differences, and discuss important issues like finances, sexuality and children. One of us is currently an inactive Catholic. Can we still get married at Resurrection? In the event that one or both of the parties are not active in the practice of their faith, additional instructional sessions will be provided to help them become active again as practicing Catholics. One of us is under 19. Can we still get married at Resurrection? When either party requesting a marriage has not yet reached his/her 19th birthday, the Church will show a special concern for the proposed marriage and will require additional steps in the preparation process. Both sets of parents will be interviewed by the priest. The couple will be referred to Catholic Charities for evaluation by a professional counselor. A review of the completed file by the tribunal will be necessary to proceed. There is a pregnancy. Can we still get married at Resurrection? If a pregnancy exists, the Church will express care for both the couple and the expected child. Every effort will be made to ensure that each couple is truly ready for marriage. Pregnancy of itself is not considered reason enough to omit the usual and normal preparation process. As with youthful marriages, the couple will be referred to Catholic Charities for professional evaluation and a review of the completed file by the tribunal is needed to proceed. What if we married outside of the Church? If the couple has entered marriage outside the laws of the Church, a validation of the marriage is permitted after the couple has completed the assessment process of these Pastoral Guidelines.